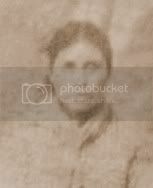 My Cherokee grandma was a lot of things. She was a daughter, a mother, a grandmother and a great grandmother. She was a sister, an aunt, a niece and a friend. She was traditional, hard working and respected. Like I said, she was a lot of things, but there is one thing she was not. She was not a Cherokee Princess. 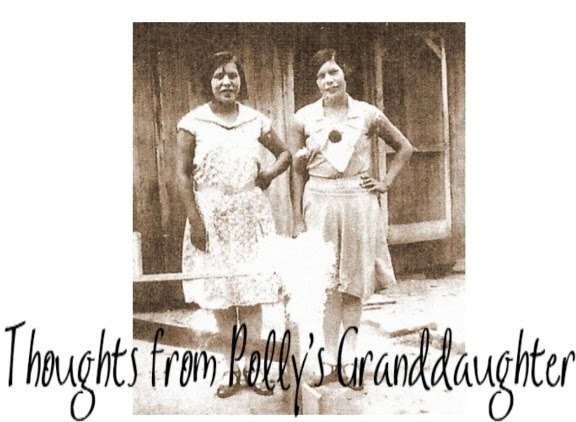 How many times have you heard someone proclaim their grandma was a Cherokee Princess? If you are like me, you have heard it too many times to count. Despite all the information that is now available explaining there was no such thing as a Cherokee Princess, people still continue to tell these stories. Usually, the "Cherokee Princess" has at least one and sometimes several greats in front of grandma, so that she is pretty far removed from the person telling you the story. Once again, they rarely know her name or any identifying details about her. All they know is she was a "princess". When I hear these Cherokee Princess stories, I can't help but roll my eyes. One search on Google displays a number of resources that explains the myth of the Cherokee Princess. How can a person not know there was NO SUCH THING? I have heard of a Cherokee Princess. Who was she? I always wonder if the person telling the story has ever logically thought about what they are saying. Do they seriously believe if the Cherokee Nation had princesses, the names of those princesses would have been forgotten? I wonder why these people who believe they have a princess in their ancestry don't also claim they have a king or a chief or a queen too. Wouldn't the parents of the princess be part of their family? I also wonder why someone, somewhere, decided the real truth about their ancestors wasn't good enough, so they had to invent some mythological Cherokee Princess grandma to make things more interesting. Doesn't each of our ancestors, whether good or bad, have something unique and special about them that makes them worth remembering on their own merits? My Cherokee Grandma was named Polly. She was born in Georgia in the early 1830's. She traveled with her parents when they relocated to Indian Territory before the forced removal. After losing her first husband in the Civil War, she married my grandpa. Together, they had three children and also raised my grandpa's niece who was left an orphan after the war. Grandma found herself a widow again when grandpa died. Despite this, she still raised three more children, two granddaughters and a grand nephew, who were motherless. From time to time, she would also take in other children who had no where else to go. My Cherokee grandma was not a rich woman. She didn't live in a big house or own fancy things. By all standards, she was an average citizen of the Cherokee Nation. So, maybe I can't live under the illusion that somehow, I am more special, because my grandma was a Cherokee princess. But, at least my grandma was real. And I will take that over any fictitious princess any day of the week. Looking forward to your next post. This is is so interesting. We have most of our genealogy done but hit a Grandmother listed as Mulatto on the 1920 census and who was supposedly a Cherokee. I could care less about anything but documenting her parents and such. Any idea of where to check next? Word of mouth was he fell for this woman and she left the reservation. She was not black. She was not important in the tribe but supposedly all Cherokee. Actually, if she was Mulatto, she was one of the MANY, MANY people who probably claimed "Cherokee" to pass off as marry-able to her inlaws. This is INCREDIBLY common. According to genetic studies, as many as 1/3rd of the "white" population in America has African American ancestry. Native american ancestry is VERY easy to prove where it exists, especially among the Cherokee as they had their own written records many years before the Dawes Rolls. Where your grandmother was listed as Mulatto is probably the MOST accurate source...since, again, most people "back then" who could pass for "white" or "part indian" did, because "back then" it was FAR less socially acceptable to be black.